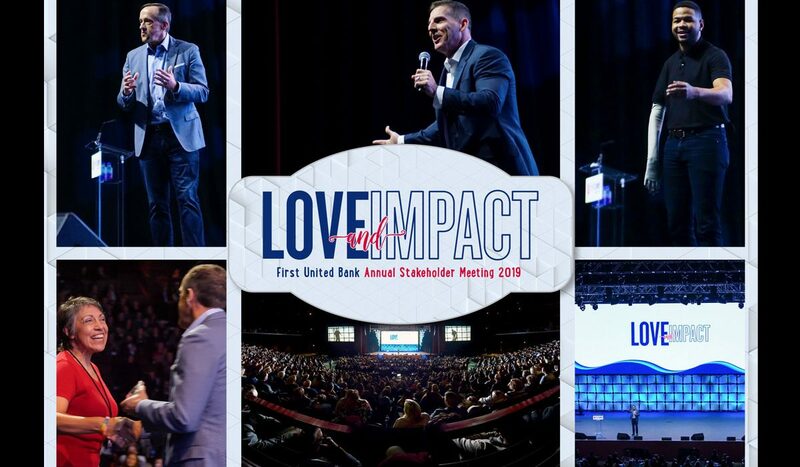 DURANT – First United Bank held its Annual Stakeholder Meeting on Monday, Feb. 18, where more than 1,500 employees, customers and community members came together for an uplifting event focused on the company’s purpose and values. The meeting was held at Choctaw Resort in Durant where the day was spent celebrating First United’s2018 accomplishments, gaining alignment on 2019 initiatives, and recognizing employees’ hard workand dedication with awards for service, performance, and tenure. Some of the Bryan County employees that were recognized include Ricca Paris – winner of the Faith award, the Madill Community Bank – winner of the Learning Award, and Jennifer Stephens – winner of the Relationships Award. John Carey and Paula Thomas were recognized for 25 years of service and Kande Hollock for 30 years of service. The Colbert Community Bank won Retail Team of the Year, Scott Uhlenhake of Madill won Oklahoma Community Banker of the Year, and Chris Earthman of Durant won Oklahoma Commercial Banker of the Year. First United CEO, Greg Massey, spoke about extending love and creating impact through the company’svalues of faith, family, integrity, learning, high-performance teams, relationships and community. “Our organization desires to make a huge impact in the communities we serve and that impact starts with showing love to one person at a time,” Massey said. 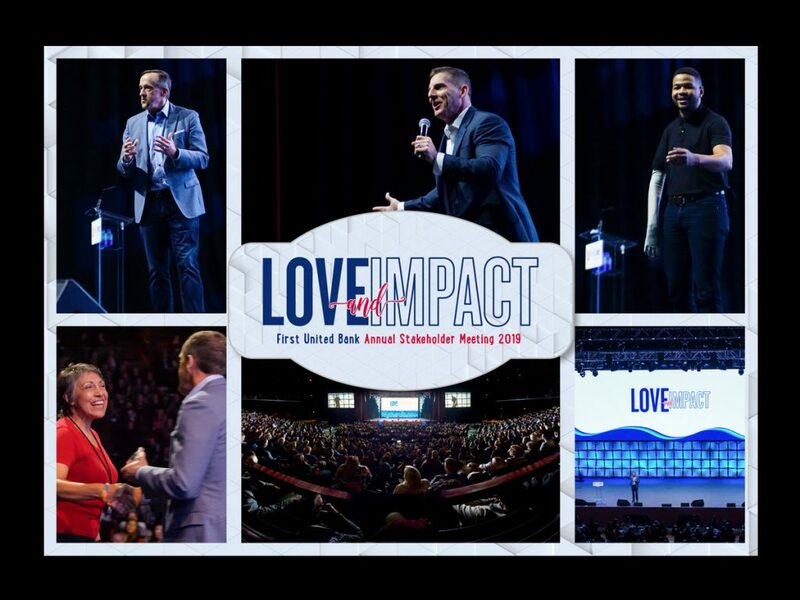 The event also featured inspirational keynote speeches from Craig Groeschel and Inquoris “Inky” Johnson. Groeschel is the Senior Pastor at Life.Church and best-selling author of numerous books including his latest release, Hope in the Dark: Believing God is Good When Life Is Not. Groeschel spoke on becoming the leader that people love to follow. His message emphasized having the heart to care, passion to inspire, and willingness to empower. Motivational speaker, Inky Johnson, spoke about his football career and on field injury that ended his career but lead him to the work God had in store for him. Johnson’s passion for embracing the processof life and not just the products in life was a moving message that reminded the audience that anyone can make an impact no matter their obstacles. First United’s purpose is “to inspire and empower others to Spend Life Wisely,” which includes a holistic approach to life that encompasses financial well-being, faith, health and wellness, and personal growth. Learn more at SpendLifeWisely.com.